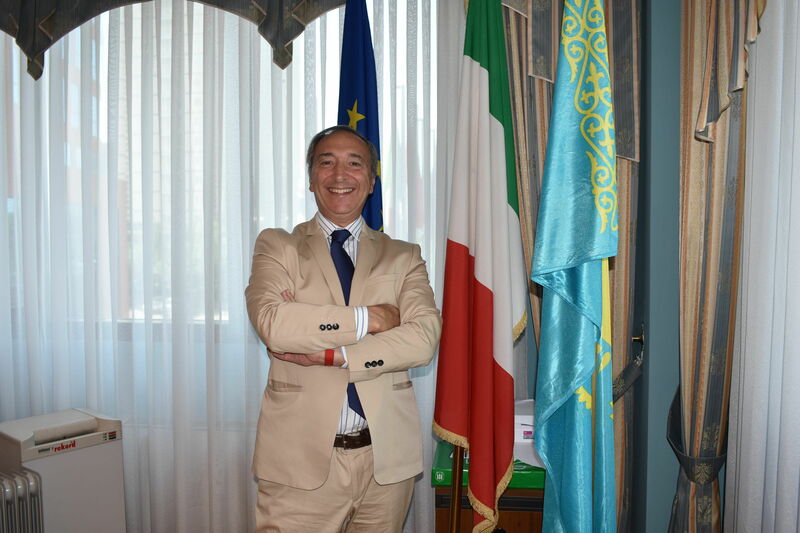 ASTANA – Recently-appointed Italian ambassador Pasquale D’Avino says there’s a need for direct Kazakhstan-Italy air connections due to the growing interest among Kazakhs in Italian culture and the prospects of economic cooperation between the nations. In a recent interview, he said his top priority is establishing direct flights between Almaty-Milano and Astana-Rome by the beginning of next year, as he expects the routes will significantly increase tourism and cultural exchange. They will make trips easier for the growing number of businesspeople and Kazakh travellers wishing to visit Italy, while at the same time attracting more Italian investors and creating improved cooperation. D’Avino noted Kazakhs have increasing interest in Italy based on the ever-growing numbers coming to the embassy for visas each year, a figure that has reached approximately 40,000 annually. There is also a high demand for language and culture courses. 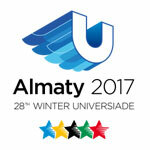 The capital’s Nazarbayev University and Al Farabi University in Almaty offer language courses, and he added the embassy plans to start Italian classes for students at Nazarbayev Intellectual Schools (NIS). “This is a reason of being proud for us. This is a brilliant school institution. We believe we can show the rich Italian cultural heritage,” he said. Many Kazakhs currently study in Milan, Rome and Reggio Calabria, the latter gaining popularity especially among opera singers seeking to study Italian phonetics. Kazakh interest in Italy is piqued by the Almaty and Astana opera houses staging numerous classic Italian masterpieces, such as this year’s anniversary celebration of composer Gioacchino Rossini. D’Avino noted the collaborative work of Astana Opera House and Genoa’s Teatro Carlo Felice, which participated July 5-6 in the capital’s gala event honouring its 20th anniversary. “Opera is certainly the flag of Italian presence here in Kazakhstan’s major cities,” he said. It is not only Renaissance art and performances that are appreciated in Kazakhstan, as modern sounds are also encouraged. For Astana Day, the embassy and the Astana mayor’s office organised a concert featuring the Gabriele Buonasorte Quartet and Mauro Negri. For those who want to enjoy additional events dedicated to Italian culture, the ambassador suggests visiting the National Museum next month, as beginning Aug. 3 Italian galleries will display paintings from Picasso’s time. A similar exhibit is planned for a later date featuring young Kazakh and Italian artists and special events dedicated to Italian design, language and cuisine will be also organised in the next few months. 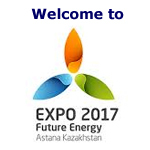 Italy is an important economic partner for Kazakhstan. ENI, a big player in the oil and gas field, brings the most advanced technology to cities such as Aktobe and Atyrau and the Karachaganak, Kashagan and Tengiz fields, the envoy said. Italy is also supporting Kazakhstan in transitioning to renewable energy and ENI’s wind factory project in Aktobe oblast will soon be completed. The relationship is expected to strengthen as the Kazakh economy continues to develop. Although Italy appears quite small on the map, it has more than five million working companies, yet only 300 companies with Italian participation are registered in Kazakhstan. Italy is a very promising partner in terms of cooperation potential and attracting investment. D’Avino believes Kazakhstan is establishing a good basis for a favourable business environment through the Astana International Financial Centre (AIFC), as well as the nation’s banking and finance systems. He noted Kazakh legislation and institutional changes seem persuasive. If Kazakhs want to build an advanced economy, however, these amendments should not only exist de jure (legally recognised), but also be enforced in conjunction with privatisation and the Belt and Road Initiative. One problem is the contrast in conducting business between highly-developed big cities and underdeveloped regional ones. “Kazakhstan has very competent, skilful, high ranking managers. The presence of top management is interesting, but it is limited to Astana and Almaty. We want to see the same development in the regions,” he said. D’Avino supports President Nursultan Nazarbayev’s plan to diversify the economy and highlighted the importance of Kazakhstan’s new emphasis on agribusiness for Italy. He referred to the ongoing negotiations between Kazakh and Italian companies for a pasta factory near Kostanai, a city with an abundance of wheat and grain. Italian companies may also be interested in the country’s railway system and defence and tourism industries, including in the Tian Shan mountain region in the latter category. The automobile industry is another area with a big future and a notable example is Fiat-Iveco buses running in the capital. D’Avino described the relationship between the countries as excellent. After the collapse of the USSR, Italian Prime Minister Silvio Berlusconi was the first European leader to recognise Kazakhstan as a very reliable country, the envoy noted. Former Prime Minister Romano Prodi and former Minister of Foreign Affairs Franco Frattini are regular visitors to the Kazakh capital. Friendly relations have continued as the countries have always had a common interest in their commitment to peace and a free market economy.